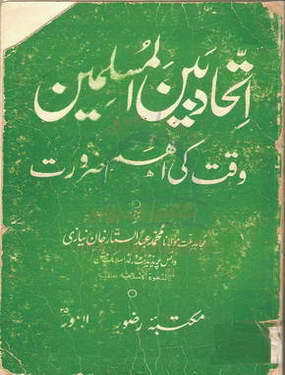 Muhammad Abd-ul-Sattar Khan Niyazi's Book Written In Urdu Name: "Ittehad Bain-ul-Muslimeen" , Read yourself and tell others to read also. Statistics : This Book Has Been Seen (2833) Times & Downloaded (915) Times. Ahya Al Maqboor " Min Adla Jawaz Binaa Al Masajid Ali Al Qaboor "